Arthritis is a common ailment for many dogs and cats. It can be a source of chronic pain and negatively affect their quality of life. Also known as degenerative joint disease, arthritis occurs when a joint is unstable. This causes the bones to move abnormally, first rubbing against cartilage and then, when the cartilage erodes, rubbing bone against bone. The result is chronic inflammation and is just as painful as it sounds. The most obvious sign of joint disease is when a dog or cat starts limping. However, there are numerous other subtle signs that may indicate your pet is uncomfortable. Perhaps your dog doesn’t charge up the stairs like he used to. Maybe your older pet seems to be “slowing down.” Cats may start urinating or defecating out of the litter box because it is too painful for them to jump into it. These are just a few examples. Bottom line: if you notice any changes in your pet’s behavior, talk with your veterinarian immediately. 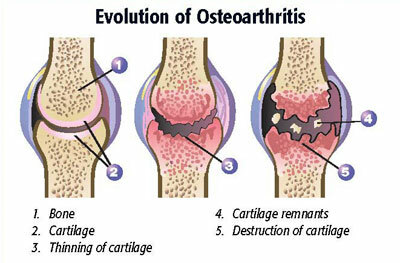 Fortunately, there are many ways to prevent arthritis from developing as well as to treat it once it has set in. Start your large breed puppy off right by feeding a diet specifically designed for him. If growth occurs too quickly then the joints may form abnormally resulting in joint disease. Large breed puppy food is developed specifically to make sure your pet receives the correct nutritional balance so his bones and joints develop at an appropriate rate. Never take a young dog jogging with you. The joints and bones of large breed dogs do not stop growing until the dog is approximately two years of age. For small breeds this occurs at one year old but I think people are less likely to go jogging with their Chihuahua. If you start running with your dog while he is still growing, you risk damaging the growth plate. Even a small defect in the development of joints can lead to instability and eventually arthritis. If the defect is big enough, in a year or two you could have a four-year-old dog living in chronic pain. 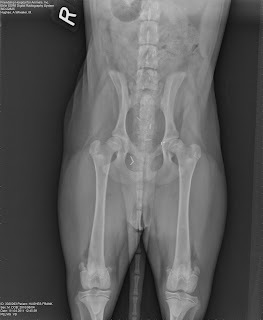 Have your puppy’s hip alignment evaluated. 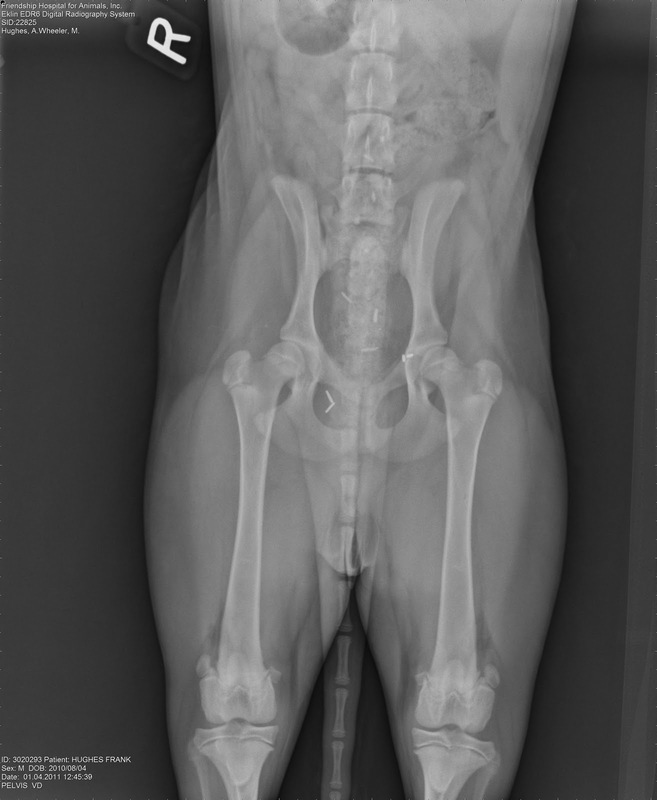 At Friendship we manipulate the hips of all our canine patients when they are under anesthesia for spay or neuter. We are looking for looseness that may indicate hip dysplasia is present or that there is the potential for joint disease. 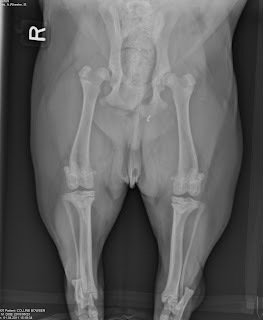 We also strongly recommend that all large breed dogs have an x-ray taken of their hips at this time. Because the dog is under anesthesia, we are able properly position him for the x-ray, so that we can accurately evaluate the hip joints. If we feel looseness or see anything abnormal on the x-ray we can then make recommendations for preventing joint disease. Use Cosequin. 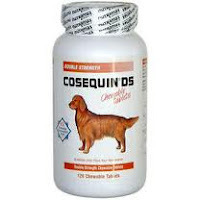 I feel that at about age two, all large breed dogs should be on a glucosamine/chondroitin supplement. This helps repair and maintain cartilage. In my opinion, the best brand is Cosequin, a supplement made by Nutromax. A recent study found that in many brands, there were large discrepancies between the level of active ingredients that was supposed to be in the supplement and what was actually there. I have toured the Nutromax plant and feel confident that they are producing a premium product. Don’t forget the fish oil. I consider the Omega-3 fatty acids found in fish oil to be a wonder supplement. Along with helping just about every system in the body they also decrease inflammation in joints and boost the effectiveness of other drugs. In fact, I believe all animals should be on an omega-3 fatty acid supplement for life. In my next post I will continue the discussion about arthritis and give you tips on how to keep pets that may already have arthritis pain free.